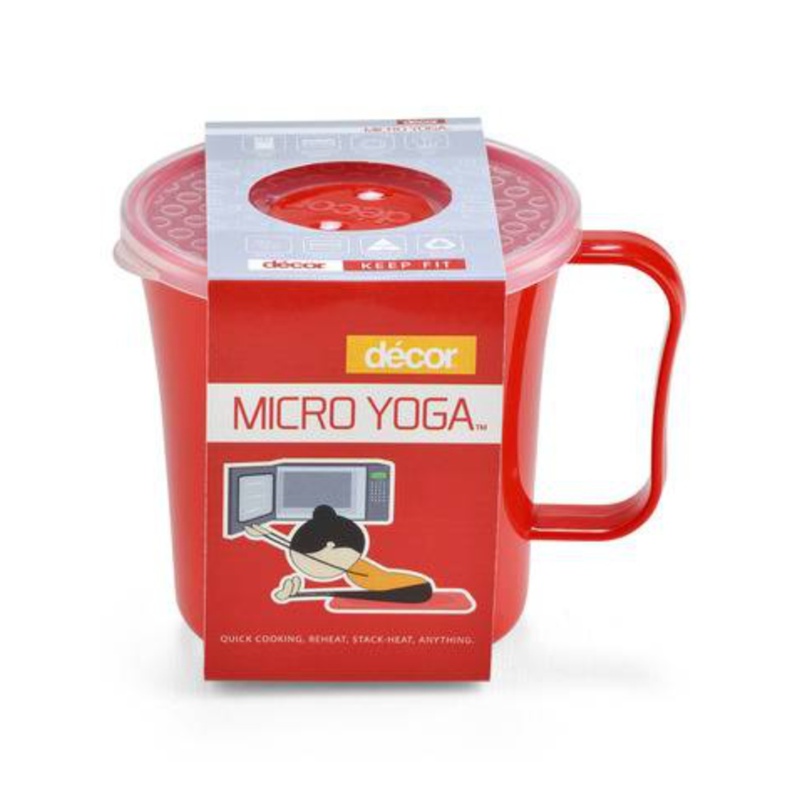 The Decor Micro Yoga Soup Mug is designed for reheating prepared soups when on-the-go. The red base is resistant to staining and the safe hold handle remains cool to the touch for easy lifting out of the microwave. The scratch resistant lid also features a steam release vent for microwave. Holds a perfect 450ml portion.